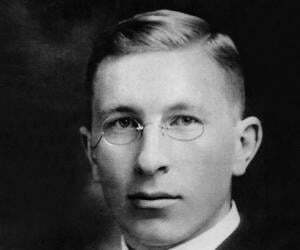 Frederick Banting was a Canadian medical scientist and physician who won the Nobel Prize for discovering insulin. Check out this biography to know about his childhood, family life, achievements and other facts related to his life. Sir Frederick Grant Banting was a Canadian medical scientist, physician, and painter best remembered for contributing to the discovery of insulin and for being the first person to use insulin on humans. Along with J. J. R Macleod, he received the Nobel Prize in Medicine in 1923 “for the discovery of insulin”. His valuable contribution helped to treat diabetes which used to be a dreaded fatal disease till then. 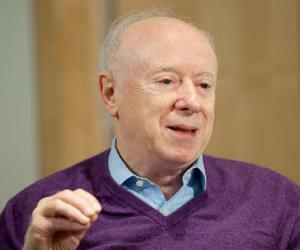 He shared the Nobel Prize money with his colleague, Dr. Charles Best, whom he considered more deserving of the award than Macleod. Sir Banting graduated with a degree in medicine from the University of Toronto. He then joined the Canadian Army Medical Corps during World War I and served in France. After the war ended, he returned to Canada and worked as a medical practitioner in Ontario for some time. Later, he served as a Resident Surgeon at the Hospital for Sick Children in Toronto. He soon developed a keen interest in diabetes, and focused on extracting insulin from the pancreas of animals. Together with medical student Dr. Charles Best, he discovered a way to extract insulin and effectively treat diabetic patients. He received a lifetime annuity to work on his research from the Canadian government and was also knighted by King George V.
Frederick Banting was born on 14 November 1891 in a farm house near Alliston, Ontario, Canada to Margaret Grant and William Thompson Banting. He was the youngest child of the family with four elder siblings. He attended public and high schools in Alliston. In 1910, he joined Victoria College, University of Toronto, to study General Arts. 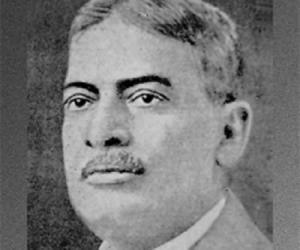 His first year was unsuccessful and eventually in September 1912, he began medical school. In 1914, he tried twice to join the army but was turned down due to his poor eyesight. The next year, however, he was successful; he spent the summer of 1915 attending military training before returning to medical school. In December 1916, he graduated as a doctor and reported for military duty the very next day. He joined the Canadian Army Medical Corps and served in France during World War I. In 1918, Frederick Banting was wounded at the Battle of Cambrai; yet he continued to serve at the battlefront. He was awarded the Military Cross for heroism under fire in 1919. After the war ended in 1919, he returned to Canada and became a medical practitioner at London, Ontario for a short time. He studied orthopaedic medicine and in 1919–20, he became Resident Surgeon at the Hospital for Sick Children, Toronto. He then moved to London, Ontario and from 1920-1921 he was a part-time teacher of orthopaedics at the University of Western Ontario besides being a general medical practitioner. From 1921 to 1922, he was Lecturer in Pharmacology at the University of Toronto. In 1922, he received his M.D. degree, and was also awarded a gold medal. By then, he had already become interested in diabetes through various journals and papers. Previous researches by Naunyn, Minkowski, Opie, and Schafer suggested that diabetes was caused from a deficiency of a protein hormone secreted in the pancreas. 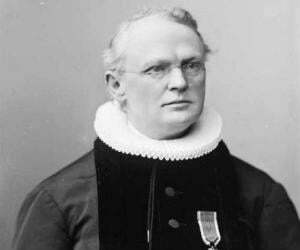 Schafer had named the hormone ‘insulin’. Insulin was thought to control the metabolism of sugar. Hence, the shortage of it led to the build-up of sugar in the blood and the excess was passed out with urine. When diabetic patients were fed with fresh pancreas in an attempt to supply the missing insulin, the result was unsuccessful, probably because the insulin had already been destroyed by the proteolytic enzyme, trypsin, of the pancreas. The challenge thus, was to find a way to extract insulin from the pancreas before it got destroyed. 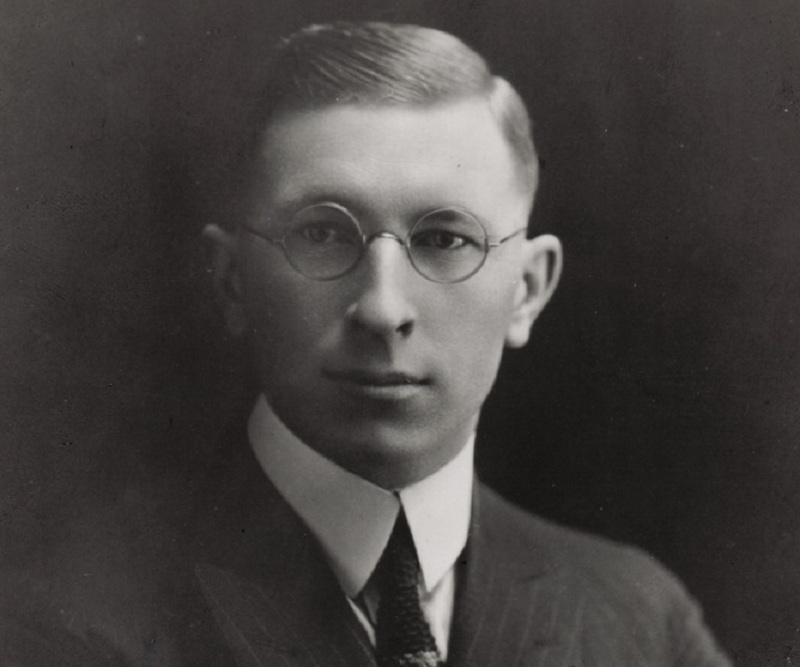 Through a 1920 article by Moses Barron, Frederick Banting got the idea that ligation of the pancreatic duct would destroy the cells which secrete trypsin and thus help to evade the destruction of insulin. He was resolute to scrutinize the approach further and discussed it with the Professor of Physiology at the University of Toronto, J. J. R. Macleod. Macleod provided him with the required facilities and the assistance of a medical student, Dr. Charles Best. Together Frederick Banting and Best began work on extracting insulin. Initially, the experiments were performed on living dogs; however, the process fell short of providing the required quantity. In November 1921, he decided to obtain insulin from the pancreas of fetal calves. They turned out to be just as effective as the dog pancreases. In 1922, he began to treat diabetic patients in Toronto with insulin. He was appointed Senior Demonstrator in Medicine at the University of Toronto the same year. Frederick Banting and J. J. R. Macleod were jointly awarded the Nobel Prize in Medicine in 1923 for their discovery of insulin. Later that year, he was elected to the new Banting and Best Chair of Medical Research, endowed by the Legislature of the Province of Ontario. He was also appointed Honorary Consulting Physician to the Toronto General Hospital, the Hospital for Sick Children, and the Toronto Western Hospital. At the Banting and Best Institute, he researched silicosis, cancer, and the mechanisms of drowning. During World War II, he investigated the problems associated with flying, such as ‘blackout’. He also helped Wilbur Franks invent the G-suit that helped pilots remain conscious when they were subjected to gravitational force. Frederick Banting is best remembered as one of the discoverers of insulin. 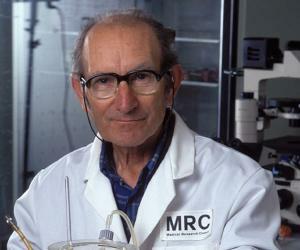 Later, he also became Canada’s first professor of medical research at the University of Toronto. During the Second World War, he studied the causes of ‘blackout’ during flying and helped Wilbur Franks in his invention of the G-suit that helped pilots avoid blackouts when subjected to gravitational force. Around the same time, he was also involved in self experimentation of treating mustard gas burns. He was awarded the Military Cross in 1919, for heroism displayed during World War I. He received the Reeve Prize of the University of Toronto in 1922. He and Macleod were jointly awarded the 1923 Nobel Prize in Physiology or Medicine “for the discovery of insulin”. Banting was disappointed to share the prize with Macleod, who he felt, was less deserving of the prize than Dr. Best. He eventually decided to share his prize money with Dr. Best. Macleod too shared his half with James Collip. 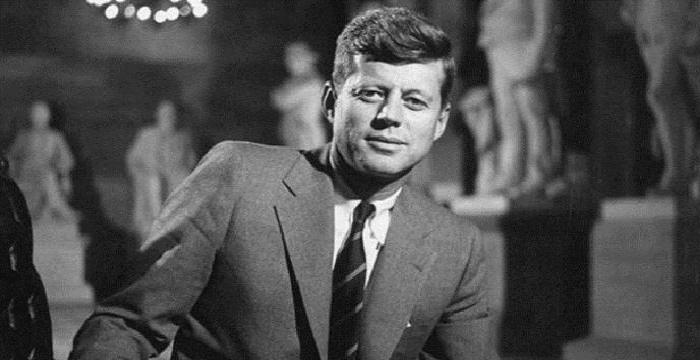 In 1923, the Canadian Parliament granted him a Life Annuity of $7,500. In 1924 he received honorary degrees from the University of Western Ontario (LL.D. ); the University of Toronto (D.Sc. ); the Queen's University in Kingston (LL.D); the University of Michigan (LL.D. ); and the Yale University (Sc.D.). These were followed by honorary degrees from the University of the State of New York (D.Sc.) in 1931 and McGill University in Montreal, Quebec (D.Sc.) in 1939. He was a member of several medical academies and societies in Canada and abroad, including the British and American Physiological Societies, and the American Pharmacological Society. In 1934 he was knighted as a Knight Commander of the Order of the British Empire (KBE) and in May, 1935 he was elected a Fellow of the Royal Society. A Flame of Hope was lit in his honour by Her Majesty the Queen Mother in 1989. The flame is located at Sir Frederick Banting Square in London, Ontario, Canada and will be extinguished only when a cure is found. Similarly in 1991, a Time Capsule was buried in Sir Frederick Banting Square by the International Diabetes Federation Youth Representatives and Governor General Ray Hnatyshyn to mark Sir Banting’s 100th birth anniversary. It will be dug up when a cure for diabetes is found. Apart from being a renowned doctor, Frederick Banting was also an accomplished amateur painter and was often in touch with A.Y. Jackson and the Group of Seven. He married twice in his lifetime. He first married Marion Robertson in 1924. The couple had a son, William in 1928 and eventually got divorced in 1932. He then married Henrietta Ball in 1937. On 21 February 1941, he died from injuries sustained in an airplane crash in Musgrave Harbour Newfoundland. Although he survived the crash, he passed away the next day. He was en route to England on work. He was buried at Mount Pleasant Cemetery in Toronto. Banting lost one of his friends to diabetes. This motivated him to find a cure for this deadly disease. As of now, this famous medical scientist is the youngest Nobel laureate in the area of Physiology/Medicine. Apart from being an acclaimed medical scientist, he was also a decorated war hero. He is among the few Canadians who have won the Military Cross for “distinguished and meritorious services in time of war.” He won it for his bravery during the First World War. He was very passionate towards painting and also joined the Group of Seven Artists on a sketching trip to Quebec. His home in Ontario, Canada where he started his fledgling medical practice in 1920 has been converted into a full-featured National Historic Site of Canada and attracts thousands of tourists every year.